James Atkin's Poker Blog Collin Moshman Galway UKIPT Big update...last 7 weeks!! A very belated Happy New Year to you all. 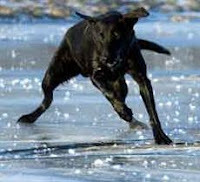 Some people expressed their concerns that I might have been a victim of the recent cold snap, but good news, I am alive and well...chasing the dog off of a frozen over lake only to fall through the ice and die isn't my style (the dog is always fine when you read about these things, don't you find?). The reason I haven't updated my blog is that I have just been incredibly busy the last few weeks. First it was Christmas, and then it was moving house...and that has just taken forever. We thought we'd made a clever decision overlapping the tenancies between the two houses by 3 weeks, but I think all that succeeded in doing was prolonging the stress that moving house entails. Things are just about sorted now though, and getting settled in to our nice new home which features 2 more gardens, one more driveway and one more garage than our previous home (no I'm not 'baller', it's just our old place had zero of these three things!). Moving house and such has led to me not playing a single hand of poker since the Monte Carlo event at Dusk 'til Dawn just before Christmas (of which I bust out a little too early for my liking), and I haven't played a single hand online since the 5th December which without question constitutes the longest break I have taken since I started playing poker, even in the early days when it was just recreational. Despite all the hard grinding I do, I am really keen to get back to it so I guess that's a good sign that the break has had a positive effect (tbh I'm probably just keen to earn some sodding money, it feels like I've been bleeding money the last few weeks buying Christmas presents and then all the stuff we've needed for the house). Somehow in this pause of blogging I have managed to not yet report my first Live Tournament victory of my career, which is kinda important compared to the usual stuff I drone on about! I took down the €500+50 UKIPT side event in Galway for €12,500. A nice boost for my Hendon Mob database page, which was due a 1st place really (I even get a new flag to boot, wiiiiiii). I have to extend my thanks to Mick McCool who bought me into that event and the Main Event as well, and am glad I was able to offer some ROI rather than putting him €2550 in the hole! I met some cool people was out there, online pros Daleroxxu and Mike McFadgen were good for a laugh. I also got talking to Seamus Cahill who I was sat next to for a decent portion of the tourney I won. I even gave live pro Jason Herbert, who I bust in 3rd, a lift home from Manchester airport, as he lived pretty much on the way. So that's a Scotsman, a Canadian, an Irishman and an Englishman, surely enough for a racist joke of some description! One recent development is that I have gotten involved with Collin Moshman, whose books you may have read or at least heard of (I found his Heads Up NLH was very good when I used to play HUSNGs). He has set up a coaching and staking site at CollinMoshman.com. I initially joined up to get some SNG coaching. Although I was doing rather well on my own, I was keen on plugging any leaks I might have, and am very aware these days that learning and reviewing your game are very important things to do. I have recently started coaching people as well, and I'm really enjoying it. I'm a real sucker for being able to talk about poker to the nth degree, and this gives me a great outlet for discussing poker pro-actively. I think coaching other people is going to have a positive affect on my own game, because of the deep analysis into individual hands that I can apply to my own play. So as well as looking forward to getting back to the tables myself (which I will be doing by this Monday), I am excited about taking on a few more students. If anyone is interested, take a look at the site. This blog will be being reproduced on there as well (or here, depending on where you are reading it from!). I'm sure some other stuff must have happened over the last 7 weeks, but that seems like a long enough post already, so if I think of anything important I'll include it next time. Hopefully that will be sometime soon! 2 Comments to "Big update...last 7 weeks!!" Feel free to have a gander at my blog. I try my best to keep it upto date as much as often! Big congrats on the win mate, more than deserved. Also, awesome job in getting a coaching gig. Our time on Skype when you staked me for the 45 man games was invaluable and if i ever get to log any decent volume in the near future I'll put it to good use!